Photo courtesy of Kyle Parks. 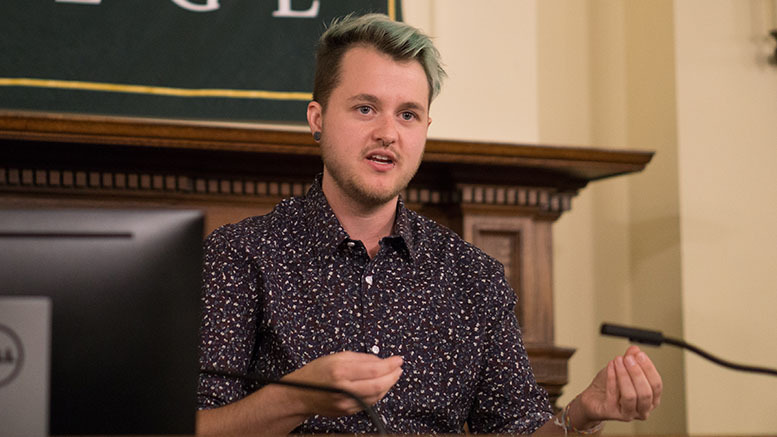 On Nov. 7, the McDaniel College Gender & Sexuality Alliance brought trans activist and YouTuber Chase Ross to campus. On his channel, uppercaseCHASE1, Ross makes videos about his experiences as a trans man, resources for trans people, and various other topics. In addition to this, he also hosts a podcast called You’re So Brave, and is one of the founding members of the channel FTMtranstastic. 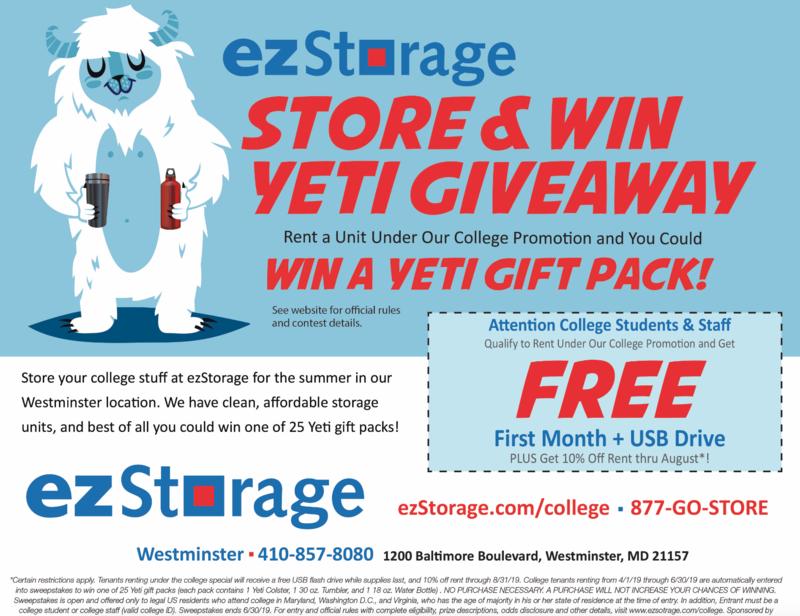 He also is currently a grad student pursuing his master’s degree in sociology. At the beginning of his talk Ross focused on topics such as self-acceptance and understanding as well as humanizing the trans experience. He began by talking about how he learned that he was trans, and how he started to come out to people, specifically his father. He also discussed the representation of trans men in the media. Some shows and movies such as The L Word, Boys Don’t Cry, and Degrassi were, according to Ross, problematic in their representation. Other more recent shows such as Shameless and The Fosters have greatly improved this, however, though not without a few flaws. Ross talked about some of his research, both in undergrad and his current graduate research. For his bachelor’s degree, he discussed the importance of passing (being seen as the gender you identify as), and the problematic conceptions surrounding that concept. Passing is important to many trans people because it shows that other people recognize them as they themselves would like to be recognized, and it allows them to feel like their true selves. The idea of “not passing” becomes an issue for trans people in society, specifically when it comes to using the restroom. Two of the people that Ross interviewed had been assaulted in the restroom because others did not think they belonged there. Additionally, Ross and four others in his study had ended up with bladder infections caused by fear surrounding this issue. His current graduate research focuses on trans men and tattoos, something he came up with when he was at the Philadelphia Trans Wellness Conference and realized that almost all in attendance had tattoos. His interviews with trans men and non-binary transmasculine people addressed the questions of why they got tattoos, how they related to being trans, and what that meant to them. This research showed that people who got tattoos related to their trans identity, whether visibly trans related symbols or for personal significance, reminds them of their journey of how they got where they are today. Other tattoos were ones they had gotten prior to discovering that they were trans, but they now see them as a representation of part of their trans identity. Ross himself has a tattoo of the line “no day but today,” which he now sees as a reminder to not focus on the past but on the present. The most common tattoo is the date the trans men started taking testosterone, as this is a memorialization of the start of a new life. His research focuses on the reasons for tattoos, such as visibility, permanence, and storytelling. Once it is completed, his research will be available online, and accessible for people to read. Ross ended his talk with a Q&A session, answering questions about a range of topics topics anywhere from starting on YouTube and supporting trans friends and partners, to educating other people on the topic. After his talk he stayed to meet fans and take pictures with them. The event “had a head count of about 100, which is quite higher than I originally anticipated,” Parks said. “I’m very happy with how things turned out.” The event brought in not only McDaniel students, but also many attendees from the surrounding area. If you missed the talk or would like to know more information about Ross, you can view his videos on his YouTube, or visit his website uppercasechase.com.